Why trust me with your well Being? Mom took this pic of me in Africa! My dear reader, I am so happy you are here today. Like you, my life experiences molded me to this very moment with you here on this page, in virtual reality. Going with the flow my journey has shaped my thoughts, and guided me to all I do today. In this life time, born into an Indian family in the throes of apartheid in South Africa, as with most youngsters, I too craved to fulfill my potential, only to find it restricted. I was the wrong gender, of the wrong race, at the wrong time, in the wrong place...or so the nation I lived in at that time told me. Inevitable as the laws of Mother Nature. Going with the flow without a real plan....I found myself thrown out of pre-med university at age 16 after singing for freedom. Soon I was leaving South Africa to explore the large world on my own, when it was a rarity for a young Asian female to leave everything familiar, solo. I did look back, to wave to my amazing parents, my loyal relatives and friends. 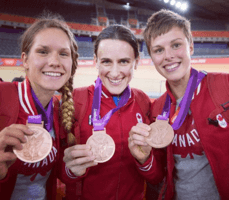 Each moment thereafter was one of fascinating challenges, breaking a few glass ceilings, filled with roller coaster rides, unpredictable successes and devastating blows. But, I plodded on. We may travel on our own, but we are never alone, with no time for loneliness! The constant flurry of life around us, is our dedicated true family of friends. The whisper of the leaves, the chatter of squirrels, the chirp of the birds, the rush of the stream, the buzz of the mountain summit, talk to us, if we open our minds and listen just a tad bit more, we'll realize our family. Life is indeed like the sea, sprung from a sprinkle of water high up in the mountains, streams its way winding through many paths, until it finds itself one with the other zillions of droplets in an ocean of endless beauty and love. To TRULY SEE we MUST free our minds from its limitations. We MUST SEE with our inner Being. Let us open our eyes and truly SEE all that is around us and never give up hope to discover our inner true Self, for with this essential power, we can forge ahead, feel one with the universe, and contribute wherever we are. Blessings to you my dear reader. May you too discover your real Self. May you shatter every man-made ceiling, box and boundary possible, because our Mother Nature never created them, she would be too foolish to restrict herself with boundaries! Please do get in touch with me, for I am here to share all my insights with you, so you can SEE and better your life. In so doing you better your world...so your future is a better one, as you live free. No country can profess to lead the world if its women, children or elders are suffering, emotionally stagnant or without the very basics of life. When the women, children and the elders of a nation are healthy and happy, the country can be proud of its success. "If each human can be consciously aware of the multiplicity, connectivity and wonder of life, then we will engage in thoughts, words and actions that support Mother Earth. We will realize the greatest truth of all - we are all ONE. We will never harm another, but will always help each other. We will be Super Conscious. Then every human will have the basics of clean air, safe water, healthy foods, proper sanitation, sufficient housing, needed healthcare, empowering literacy and wholesome jobs that support Planet Earth. Let those who in abundance, already have these necessities, reach out and correct the ravages and inequalities over thousands of years of man-made actions, and restore humanity onto its natural course, " Dr. Vie. Each of Dr. Vie's publications, programs, workshops, seminars, memberships, vegan Dr. 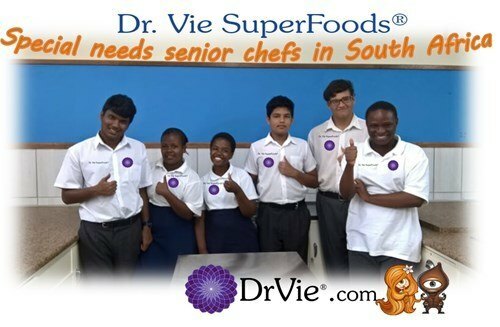 Vie Superfoods, and consultations fund her Super Conscious Humanity humanitarian initiatives in Sub Saharan Africa and the Americas - clean safe drinking water, healthy foods, accessible sanitation, robust housing, needed education and literacy, basic healthcare and adequate hygiene and wholesome jobs, all the while supporting and rejuvenating Mother Earth. Sparked by the untimely passing on of her Father Vie in the 1990's, Dr. 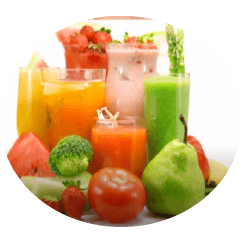 Vie embarked on research to better health naturally. One part of her pioneering research endeavors led to a line of vegan, low-allergenic, naturally gluten-free, organic raw healthy foods in 2004, which she termed Dr. Vie SuperFoods during a time when superfoods were unknown. Her healthy foods were a national hit in the North Americas, consumed by celebrities, Olympians, doctors, cancer patients, diabetics, celiacs, weight loss patients, children and more. Dr. Vie's eco-friendly food-free packaging and inks received global press attention for being the first of its kind in any health store, at a time when compostable packaging was unfamiliar. Dr. Vie's pioneering research in superfoods was shunned by various venture capital companies, grant bodies and more because superfoods was too new of a product! On the verge of bankruptcy thousands of kilometers from her family and birth place. Experiencing poverty, lack of heating in harsh winter months, and sleeping on a blanket, she persisted. Over time, as superfoods gained momentum, and gluten-free and vegan became trendy, out of the woodwork, food companies emerged spawning the age of gluten-free but scientifically unhealthy foods, developed without an inkling about human wellness. Today the world is inundated by pop up "healthy food" or "vegan food" products, cafes and even businesses focused on business and entrepreneurial opportunities, yet on closer analysis are unhealthy foods that destroy Planet Earth. But what if humans could move beyond the short term focus of commercial successes that sacrifice human wellness and planetary well being? Sparked by the need to move beyond only commercialization, in 2004, Dr. Vie began her SuperKids program funding it personally with profits from her superfoods and most often from her life savings. 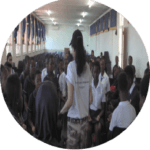 The program evolved into Super Conscious Humanity initiatives to mentor children and youth around the globe, to be drug-free, addiction-free, violence-free, hate-free and free from the need to be radicalized. It quickly began sustaining wholesome jobs by uplifting special needs communities and supporting Mother Earth. 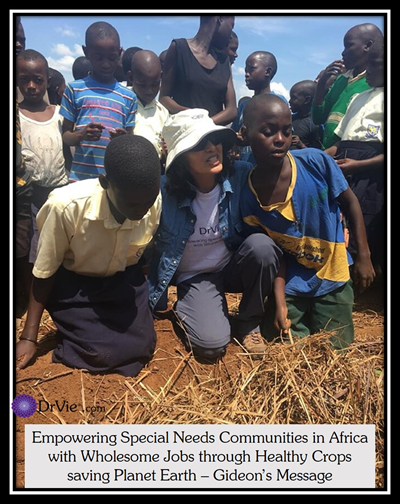 Today special needs youth and communities are benefiting from Dr. Vie's scientific discoveries that she is transferring to them to provide them with skills training to uplift their communities, and support Mother Earth through wholesome jobs. Besides her numerous passions, Dr. Vie is in awe of nature and mountains and has trekked mountain ranges in the Himalayas, Africa, North Americas & Switzerland. She obtained her post-doctorate specializing in medical devices in USA, has co-authored university text books and is a Swiss patent holder. While a medical device scientist in Switzerland, she furthered her doctoral education in natural living based on ancient Asian insights, uncovering the necessity for Super Conscious Humanity, through her personal journey, devoid of religious connotations or man-made regulations. 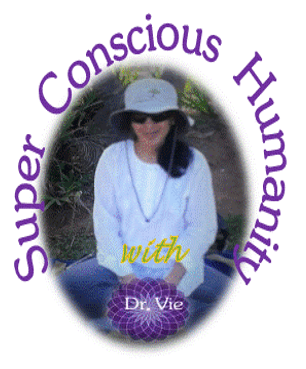 V is focused on empowering men, women and children to be their natural Super Conscious selves. "We do not need to be formally educated, or obtain expensive degrees or fancy titles to be Super-Conscious. Anyone and everyone has the power within them, free of charge because it is his/her natural human code. Super consciousness is your Gift, that you may have lost access to because of the path that humans have etched since civilization. However, at any stage we can reclaim our birth right, our Gift of Super Consciousness and SEE ," From Dr. Vie's GuideBook To Rescuing Humanity. Dr. Vie has authored numerous articles in Academic Health Journals since her days as a doctoral student in the USA. Some of her work include texts for Medical Devices and a Book Chapter for Medical Device Students. Focused on women, revealed decades of insights to restore self confidence and self esteem. Taming The Female Impostor: The Book of Secrets to Rescue Humanity - a beginner's guide to empower humans to be their natural super-conscious selves, guides females to restore balance in the world. To inspire hope for Utopia, where everyone lives in peace and happiness, alongside animals, in pure environments. Set in Africa on the southern tip and on the Equator...where the last humans strive to save Planet Earth. V has appeared on numerous radios shows, local and national discussing topics from self development, economy, entrepreneurship, environment issues, saving Planet Earth, youth mentoring, trafficking, addictions, radicalization and more. ​V's podcasts and radio shows provides free information to create awareness about a variety of personal and global issues that impact the present and future. Her public speaking sessions, from key note to 3-day workshops, to one hour seminars, are interactive inspiring unleashing human potential. Her audiences are enthralled and engaged from the start to the end of her interactive and motivating events. She has provided free talks around the globe as part of her mission to inspire men, women and children to access their natural life potential. Her Super Conscious Humanity Initiatives are focused in Africa on the Equator and Southern Africa to ensure clean water, sanitation, healthy crops, basic healthcare, skills training all leading to wholesome jobs that support Mother Earth. Dr. Vie empowers men, women and children and respects all religions and all energies. Her talks have been conducted in various houses of worship Churches, Temples, Sai, Divine Life, Dharma centers and non religious gatherings of atheists/agnostics, all health statuses, financial standings, cultures and more. Dr. V has addressed tens of thousands of school ages children from preschoolers to grade 12, university students and lecturers. Dr. V has given off her Self free of charge to non-profit gatherings of children and youth. She has provided 3 day workshops to Life Line staff, medical staff and Board of Directors of Non Profits. Her talks have inspired the aged, the sick the dying and their caregiver and staff and more in hospitals, and places of care. Dr. V's insights motivate patients and caregivers of various ailments through her talks at the National Associations. Dr. Vie Academy includes a series of self paced training programs through online video courses. Her online webinars, tele-seminars, and monthly question and answer sessions support self development step by step. She conducts live seminars, workshops, and retreats and special Master-Mind coaching groups. Her 1:1 personal guidance is fully accessible to anyone anywhere in the world, and is 100% with Dr. Vie. She shares insights with you as you journey through your personal transformation. "We cannot guide someone, through someone else. Many programs use assistants and contractors to engage in the coaching. Sadly many of the coaches today, become certified as coaches after a short 6 week or 6 month or a year online or college training! These young coaches are focused on the business of coaching, called life coach, without much wholesome experience in the real world." When we realize the bigger picture, away from the man-made restrictions and categories, social pressures and economic burdens, we realize the true essence of life. We think differently, we dress differently, we eat differently, we conduct our selves differently....and live fully connected with all of life. We are after all LIFE. No matter who you are, where you are, or what you are feeling right now, you can better your feelings, better your and slowly better the world. Sometimes all it takes is just one word to transform someone's life. After reading all your blogs, anybody will be inspired to lead a life of peace and happiness. When one is searching for proper means and ways to design such a life, they search for the right thinking individual who will guide them this path for an evolution and setting such a positive environment. Dr. Vie, we are working for many such women who are living in deep stressful conditions, not able to save themselves from the clutter of turbulence. Please let us know how to go about it, getting your dates, time and availability. 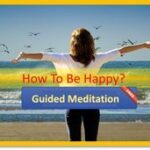 Would you like to reduce your feelings of stress, anxiety, helplessness, or sadness? I'd love to guide you with a breathing technique and Yogic meditation sequence video to help you relax. Why? Because I've been sharing my insights to thousands around the world. Now it is my time to share it with you. This is my GIFT to you. Enter your name and email and check your email for the special video link from me. Love, V.